Home automation and the Internet of Things aren’t just pie-in-the-sky concepts any more. They’re beginning to happen. iHome’s new iSP5 SmartPlug lets you control an electrical outlet in your home wherever you are with your iPhone. It’s also compatible with Apple’s HomeKit so Siri will respond to your voice commands. Smart appliances such as thermostats, exterior door locks, and garage door openers can already be controlled by smartphones but these devices are expensive and often require professional installation. By comparison, the SmartPlug is a simple, inexpensive plug-and-play device. It connects wirelessly to your home Wi-Fi and is controlled with the iHome Control app (iOS and Android). Open the app and a single tap turns the power on or off. Each SmartPlug comes with its own unique accessory code so you can have several of the devices around your home and control each individually. Because SmartPlugs are iOS compatible, you can set timers for each if desired. They can handle up to 1800 watts so larger appliances such as a window air conditioner, fan, or space heater can be controlled. Imagine the Jetson-style convenience of turning on your room air conditioner when you leave your office so your home will be comfortable when you arrive. 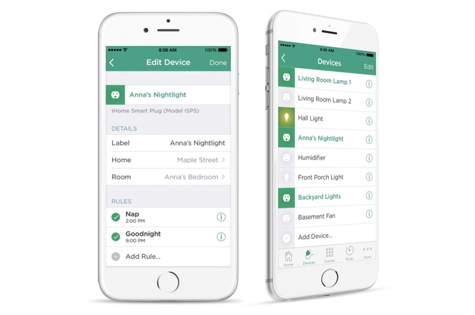 If you have several SmartPlugs installed, you can create and control Scenes. Set a Party scene where the lights go on and the music starts. Set a Prime Time scene where the TV turns on and several lights turn off. There are many flexible possibilities that are easy to set up. If you choose, you can also control zones of your house: Living room, Bedroom, Office, etc. When you are traveling, you can set lights to go on and off at times you preselect or you can do the same live from your phone. 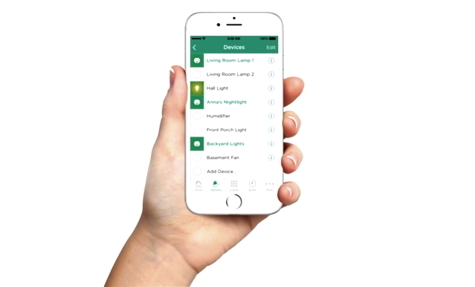 The iHome Control app allows you to add more SmartPlugs at any time. You can also add new users so both you and your spouse can control your home units. You can even set up your office so that only you can control the lighting and equipment there. 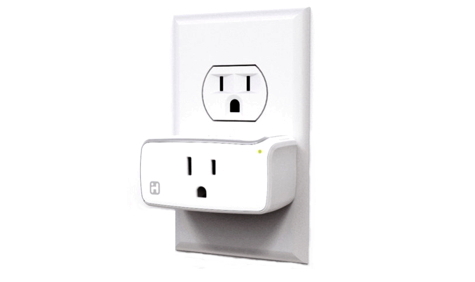 The SmartPlug is designed so that two will fit, one above the other, in a standard electrical outlet. Eventually, most home automation devices will be able to communicate with each other as well as with you. We’re on the cusp of some very exciting Internet of Things technology. For now, it’s fun to experiment with living in the future. iHome’s SmartPlug is an inexpensive, well-designed part of the first wave. Fair warning: SmartPlugs are addictive. You’ll want more than one. MyMac Review rating is an enthusiastic 10 out of 10. Secure Better, Not Harder – Part One – Anti-Virus? Nice review Curt. Wish they were $14.99…. I agree. I asked if iHome was planning 2-packs or 4-packs at reduced pricing. Something along those lines may happen in the future. If these things start to sell in volume, I have no doubt that the price will improve.